Support St. Michael's While You Shop! There are a number of different shopping opportunities that allow us to direct rebates to St. Michael’s School as we do our regular shopping. Research has shown that other schools earn thousands of dollars each year by promoting this simple act of linking your shopping cards. We hope you will participate, and encourage your extended family and friends to do the same! Amazon Wish-List: Support St. Michael’s Academy by visiting our Amazon wish-list! Amazon Smile: Support us when you shop on Amazon! 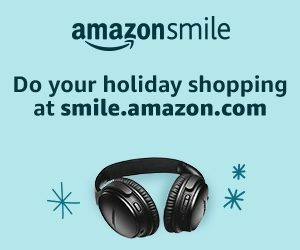 That’s right, just by using the link below to shop on Amazon you will support St. Michael’s Academy Inc. ! Learn more about Amazon Smile. Harris Teeter(#8678) – Harris Teeter’s Together In Education (TIE) program is a fundraising program for schools. Every time customers purchase select Harris Teeter Brand products using their VIC card, Harris Teeter contributes a percentage of those purchase dollars to the schools of the parents’ choice. Sign up for a VIC card at your local Harris Teeter and designate St Paul’s School (#8678). If you already have a card, please link it online at www.harristeeter.com. Giant Food(#09501) – Through Giant Food’s A+ School Rewards Program, parents and supporters can help simply by registering their Giant Card to St. Michael’s School (#09501) and then shopping at any Giant store. This money can be used to purchase smart boards, fieldtrips or playground equipment. Sign up online at www.giantfood.com or at your local Giant store. Safeway (#500044474) -Renew or sign up with your Safeway Club Card today! Your participation can mean hundreds of dollars for St. Michael’s School. To sign up go to www.escrip.com, click on 1-sign up, and enter your club card number. You must sign up and/or renew by November 1, 2013. Target – If you have a Target VISA, go to www.target.com/tcoe to sign your RedCard up to donate ½% of all purchases and 1% of Target purchases to St Paul’s School.